Are you experiencing trouble falling asleep? If so this Dairy-Free Night Time Smoothie & my 7 Rituals to a Good Night Sleep will help you feel more relax and prepared for the restful night your soul, mind, and body deserve. I have experienced trouble falling asleep over the past month and a half. Despite feeling very tired, my mind remains fully awake and starts spinning with a hundred thoughts making it impossible for my body to relax. Stress and anxiety can have a huge impact on the amount and quality of sleep we get. Like a vicious circle, they prevent us from falling or staying asleep, while a lack of sleep is likely to make us even more stressed and anxious. This can lead to us being unable to fully focus on whatever is on our to-do list the next day, making us feel even more stressed. We go through phases and I like to believe that they are there to teach us something and as a reminder that self-care should be our number 1 priority! Below, you will find the smoothie recipe I like to have in the evening and my rituals to prepare for a good night sleep. Dairy-Free Night Time Smoothie & my 7 Rituals to a Good Night Sleep. I like to light up a stick of lavender essential oil when coming back from work. The calming scent soothes my mind and body. Place your stick onto a holder (in a safe place, away from anything flammable), light up the end and blow it up. It will perfume the entire house and will help you feel calm. I like to have a bath (2 or 3 times a week) with some Epsom sea salt in it. Epsom sea salt breaks down into minerals and allows you to get rid of any negative energies, it is said to improve insomnia and alleviate muscle pain as a result helping your body to relax. After my bath, I like to do 5 to 15 minutes of light yoga exercises. Do it from the comfort of your house with my favourite yoga instructor Yoga With Adrienne, the good thing is that you don’t need to know anything about yoga to be able to benefit from it! 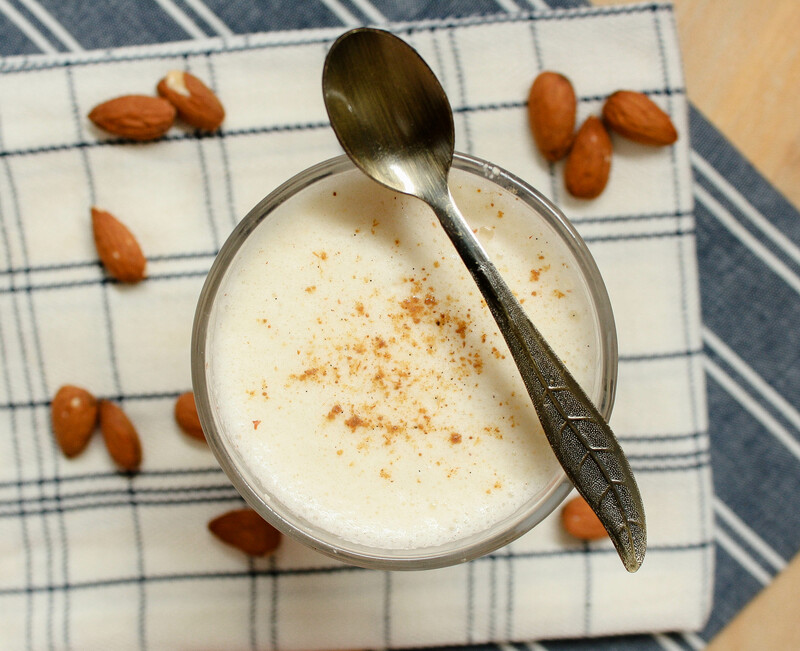 Almond milk: almond milk is full of calcium and helps you create melatonin, controlling your sleep. 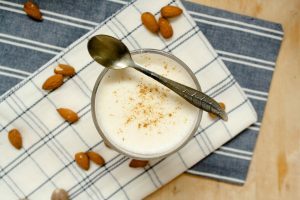 Almonds: also full of magnesium and many other nutrients they will help your muscles to relax. Plan for the next day – try and put on paper all the things you need to do for the next day, as well as making space for some recreation (meditate, read a book, bake a cake, or anything that makes YOU feel good), so that it can leave your mind and give you the space to rest. Write 3 things you are grateful for. Bringing positivity into your mind, soul and body. This practice allows you to see the good and appreciate the people around you as well as the little things that add up to our happiness. 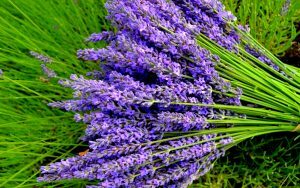 Put 2 drops of lavender essential oil onto your pillow when going to bed for a peaceful night. Free your space – Don’t do anything that will stimulate your mind (i.e. watch a movie, scrolling down your social media feed) instead read a feel-good story and/or listen to some mindful music. Ready in less than 5 minutes, this Dairy-Free Night Time Smoothie will help you relax and prepare for a peaceful night. Place the almonds in a small bowl and cover with cold water, leave for 6 to 8 hours. (I recommend you do so when waking up in the morning). Make your smoothie 1 hour or ½ hour before going to bed. 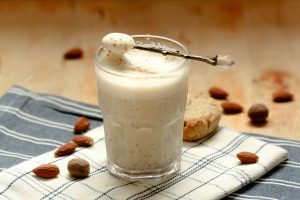 Place the almonds in your food processor and blend until finely ground. 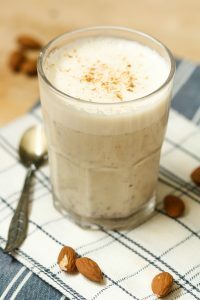 Add the almond milk, sweetener of your choice, nutmeg and blend on a low speed for a few seconds to combine everything. Pour into your favourite mug and warm up in the microwave for about 45 seconds. If desired add a sprinkle of cinnamon. I hope you try and like my Dairy-Free Night Time Smoothie & my 7 Rituals to a Good Night Sleep, if so comment below and let me know your rituals too! Connect with me on Instagram #mimies_delicacies so that I can see your lovely creations as well as helping me reach more of you lovely people. Merci my friends!